书籍简介: Brief, reality-based business fables are all the rage these days, as consultants, strategists, and other savvy professionals seek interesting, reader-friendly ways to present their latest ideas. 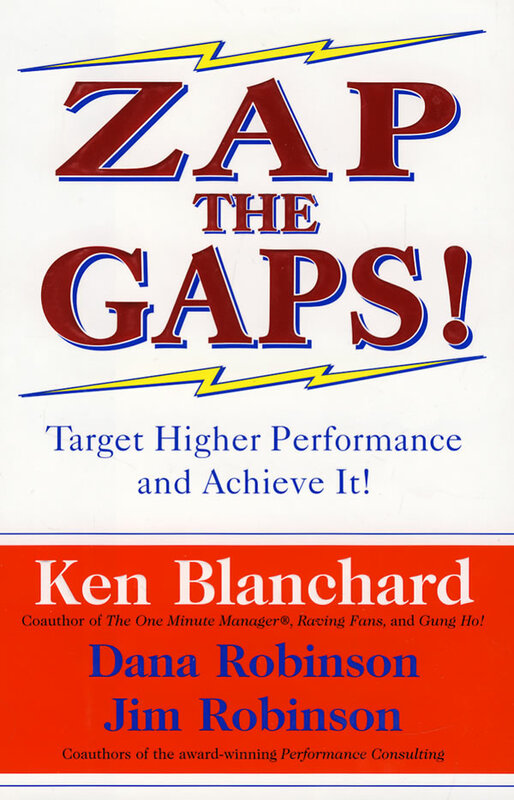 Zap the Gaps! continues in this genre by weaving a highly practical and easily adaptable program for improving workplace performance into a solidly informative tale--this time about the trials and tribulations at a large computer firm's troubled customer service center--that most corporate denizens will quickly identify with. Ken \\\\\\\\\\\\\\\\\\\\\\\\\\\\\\\\\\\\\\\\\\\\\\\\\\\\\\\\\\\\\\\\\\\\\\\\\\\\\\\\\\\\\\\\"The One-Minute Manager\\\\\\\\\\\\\\\\\\\\\\\\\\\\\\\\\\\\\\\\\\\\\\\\\\\\\\\\\\\\\\\\\\\\\\\\\\\\\\\\\\\\\\\\" Blanchard teams here with problem-solving specialists Dana Robinson and Jim Robinson to present the enlightening story of Dyad Technology's discovery and implementation of their anachronism-based GAPS approach for finding and resolving the root causes of many common business problems: (G)o for the Shoulds, (A)nalyze the Is, (P)in Down the Causes, and (S)elect the Right Solutions. By demonstrating how an \\\\\\\\\\\\\\\\\\\\\\\\\\\\\\\\\\\\\\\\\\\\\\\\\\\\\\\\\\\\\\\\\\\\\\\\\\\\\\\\\\\\\\\\"actual\\\\\\\\\\\\\\\\\\\\\\\\\\\\\\\\\\\\\\\\\\\\\\\\\\\\\\\\\\\\\\\\\\\\\\\\\\\\\\\\\\\\\\\\" company might absorb and initiate their strategy, the authors clearly show how it can aggressively bridge the spaces \\\\\\\\\\\\\\\\\\\\\\\\\\\\\\\\\\\\\\\\\\\\\\\\\\\\\\\\\\\\\\\\\\\\\\\\\\\\\\\\\\\\\\\\"between what is and what should be\\\\\\\\\\\\\\\\\\\\\\\\\\\\\\\\\\\\\\\\\\\\\\\\\\\\\\\\\\\\\\\\\\\\\\\\\\\\\\\\\\\\\\\\" and realize the true meaning behind their emphatically punctuated title.